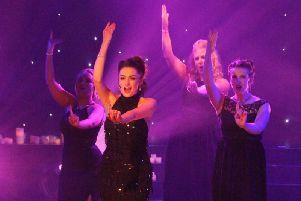 Burnley Light Opera Society is back with a fabulous musical to fall in love with. Burnley Light Opera Society are back with a fabulous musical to fall in love with. Sweet Charity is the tender yet funny story of a woman’s quest for romance. If there’s one thing Charity Agnes Valentine is good at, it’s picking the wrong man. Now she’s on a mission to learn from her mistakes once and for all and find true love. Join her as she laughs, sings and cries her way through New York in the 60s, all set to massive tunes like Hey, Big Spender! Sweet Charity will be performed at the Burnley Mechanics Theatre from November 10th - 17th.